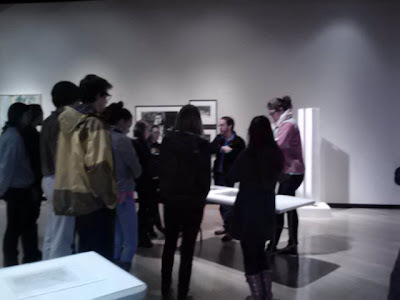 Yesterday, faculty artist Brian Kelley brought his 2D Foundations class over to the Museum to view the Faculty Show as well as several works from the Muscarelle's Permanent Collection. Below, is a picture of Professor Kelley talking about print techniques. 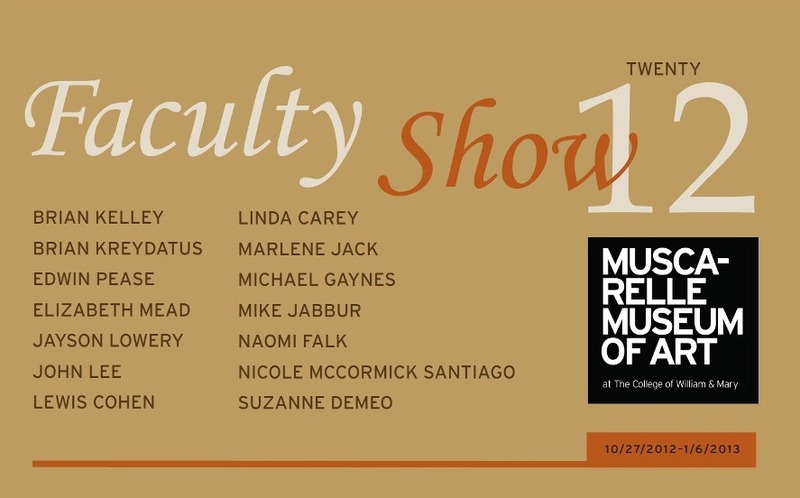 LAST FACULTY FRIDAY AT 5 PM - THIS FRIDAY!